The town of Fort Mill has a long history, dating back to the mid-1700s when Scottish and Irish settlers made their home in the area. It grew slowly at first, but by the 1800s, the Fort Mill saw sudden growth and expansion with the arrival of textile mills. While most of the mills have closed down today, Fort Mill remains one of the fastest-growing areas of South Carolina, and its proximity to Charlotte, North Carolina (just across the state line), means that residents have access to virtually anything they might want to see or do. Employment options are high, and the area schools are rated as some of the best in the state. If you’re considering a move to the area, you also have plenty of options when it comes to neighborhoods. Fort Mill residents enjoy lower property taxes and it is a popular option compared to the higher property taxes in North Carolina, but with the convenience of the big City of Charlotte NC. Baxter Village is a master planned neighborhood that combines living space, work space and play space. It features its own shopping areas, as well as a village green for relaxation. 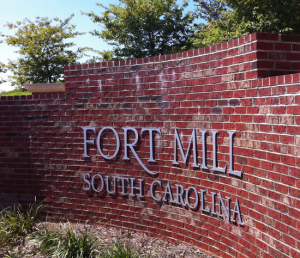 There are parks scattered throughout as well, making this an amazing place to call home in Fort Mill, SC. 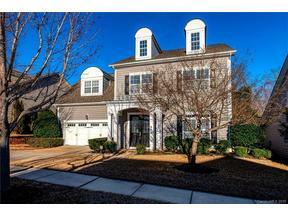 Located on 98 acres, Waterstone is convenient to everything Fort Mill and the greater Charlotte area has to offer. The subdivision features both single-family homes and townhomes. Mature trees line the streets and stand sentinel in the yards. Eppington South features stunning, stately homes of brick and natural stone, combined with lots of mature trees and manicured landscapes. Elegant and stunning, this neighborhood provides residents with more than just a touch of luxury, as well as one of the best locations for exploring the wider Fort Mill/Charlotte area. Springfield is another master-planned community, and it’s located just outside both Fort Mill and Charlotte. The community offers tennis courts, swimming, and even a 6,906-yard, par-72 golf course that was designed by Clyde Johnston. 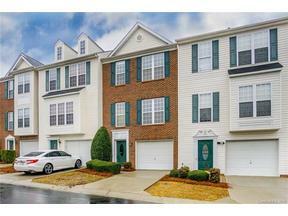 The neighborhood is just off I-77 for easy access to everything the area has to offer. If you love golf, then Regent Park is an ideal place to call home in Fort Mill, South Carolina. Designed by Ron Garl, the course is both challenging and visually stunning. The surrounding neighborhood is no less incredible, with elegant, spacious homes surrounded by green forest. Featuring a pool, a clubhouse and an “airnasium”, the Reserve at Gold Hill is an amazing place to call home in the Fort Mill, SC, area. There’s even a spacious playground for the kids. Homes here are elegant and beautiful, matching the natural grandeur of the area. As you can see, there are plenty of reasons to call Fort Mill, South Carolina, home. With easy access to I-77, all the amenities of Charlotte, North Carolina, are just a few minutes away. Of course, you can also head south and explore what else the state of South Carolina can offer. With an increasing number of employers in the area and one of the best locations in the country, Fort Mill is set to enjoy continued growth for years to come.